From debut novelist Nancy Woodruff comes this chilling and beautifully wrought story of forgiveness, renewal, and the ever-elusive second chance. When fifteen-year-old Matt and his family move from Oregon to an affluent Connecticut suburb, the fact that he is home-schooled brands him as more than an outsider -- he is a town oddity. Just when he seems to have made inroads into the closed social circuit, just when he is embraced by a trio of teenage girls and feels his life might be changing for the better, he is responsible for a devastating car crash that leaves two of the girls dead. Tara isn't in the car with her best friends. Instead, she's by her mother Jennie's bedside as she gives birth to a baby girl. While Jennie and her husband Chris mourn Tara's friends, and try to make sense of their eldest daughter's loss and their own new baby, a pervasive sense of blame begins to rain down on Matt. Jennie knows the community's reaction will surely ruin Matt's life. But when she reaches out to him, hiring him to work for her high school reunion company for the summer, Jennie suddenly finds herself vilified as well. In the face of community and family derision, both imagined and real, physical and emotional, Jennie and Matt soon find themselves in solidarity. As their attachment grows, Jennie realizes that she is bound to Matt by more than just compassion -- that the broken child she sought to save is, somehow, reviving her. Someone Else's Child is a deeply moving story of guilt and forgiveness, despair and hope, and the intricacies of love and responsibility. In rich and unforgettable prose, Nancy Woodruff masterfully explores the fraying loyalties that can turn our world upside down in the face of tragedy. Nancy Woodruff received her MFA from Columbia University, and she has taught writing at Columbia, Purchase College, Richmond, the American International University in London, and New York University. She is the author of two novels, My Wife’s Affair and Someone Else’s Child. She currently lives in Brooklyn with her husband, sons, and daughter. Jacquelyn Mitchard author of The Most Wanted and The Deep End of the Ocean Nancy Woodruff's fast, fierce, humblingly resonant first novel has only one flaw: it is impossible to read enough of it. Every sentence glows with truths we keep hidden. Nancy Woodruff is a storyteller of great heart and generosity who tells difficult truths in plain words. This is not a book for someone else; it's for everyone. 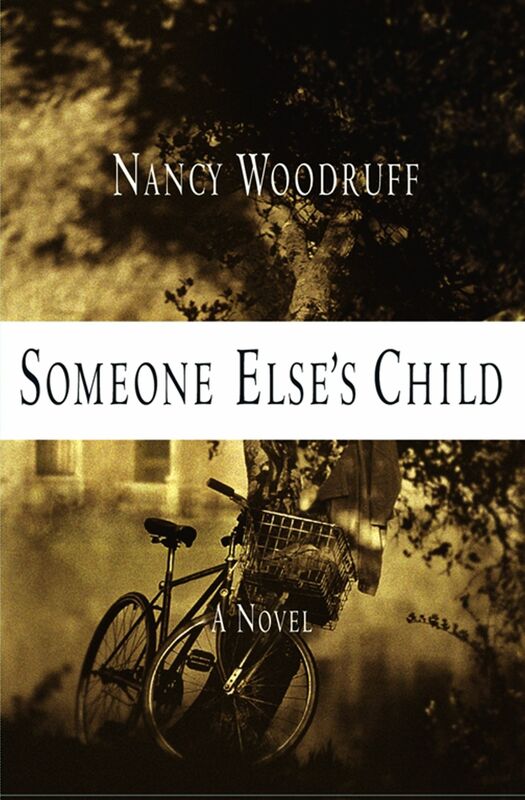 Ann Darby author of The Orphan Game In prose clear and sparkling as a glass of spring water, Nancy Woodruff delicately probes the tenderest feelings -- between husband and wife, mother and child, and a mother and someone else's child. Woodruff navigates deftly through the wake of tragedy in ordinary lives. Catherine Temma Davidson author of The Priest Fainted Reading Nancy Woodruff's Someone Else's Child is like going on a fast and dangerous ride with an expert driver. The series of accidents at its center uncover dark territory in the human heart, while the sure touch of its author never lets us lose sight of the ordinary landscape in which extraordinary things can happen. I could not put it down and the end left me feeling dazed.